In 2008 Sanjay was faced with a dilemma… Should he sell his condo and lose over $100k, or try to hold on to it for the long-term? Sanjay decided to hold on to the condo as a Dallas investment property and rent it out. He became an accidental landlord and never looked back! Fast forward eight years and Sanjay is now a full-time real estate investor acquiring a healthy rental portfolio while working on fix and flip projects. Sanjay loves solving problems for people when he buys wholesale properties, and he enjoys the whole rehab and resell process. When he gets an alert from MyHouseDeals about a property, Sanjay makes sure it fits his criteria. Then he calls the seller, sets up an appointment to see the house, and if he likes it he will make an offer on the spot! 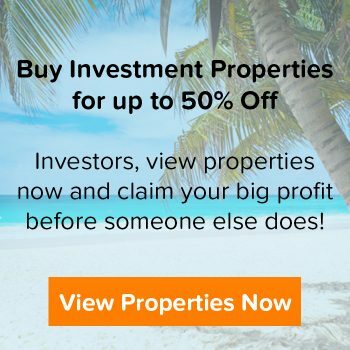 We recently sat with Sanjay to learn more about the deal he found on MyHouseDeals, how he got started in real estate, and his overall investing strategies and goals. NOTE: Since Sanjay is a Premium Elite member, he received a FULL refund of his up-front membership fee for simply doing a deal! Find out more about our Premium Elite membership here. How long have you been investing for? I have been investing full-time for about a year and I had some rental properties for 7-8 years before that. What made you want to become an investor? In 2008, I was moving away and had a condo that I couldn’t sell. It was way under water and I didn’t want to lose $150,000 to the bank so I held onto it. The condo has come back up in price, it’s been rented, and has done really well. I started looking at that 4 years ago and I thought if I had a few more properties, I can do really well. I started part-time looking for rentals and as I started getting into the rental market I realized to get the good deals you have to find wholesale properties. Then you need to do a rehab and either hold them or sell them. I started doing that and then over time eventually I realized that this is my passion and I just moved full-time into it. What do you like about having a rental portfolio? There are positives and negatives of rentals. The biggest positive is that it can be relatively passive income and real estate is something that is tangible. There are three benefits. First, everything in the rental business is inflation adjusted. Secondly there are tax benefits. You can avoid taxes or minimize the taxes because it’s on a real estate income and you claim the depreciation and everything else. I’m no tax expert but it just helps on the tax side. Then, of course, the third thing is the long-term appreciation. If you keep it long enough you don’t have to worry about anything going wrong or it drastically dropping in value. How do you keep your properties full of tenants all the time? The key is to buying at the right place. I think that’s the big key. The second is being proactive. I know my leases and when they end. I know that two months before the lease ends I need to reach out to the tenants and talk to them. If they want to move out then I need to start the process of filling the property. Why has your real estate investing strategy transitioned to mostly flipping housing? I think it is mostly because of my love of actually completing a rehab. I think that’s one of the biggest things. Every house is a new story. It’s something unique. When you buy the property, you’re solving a problem for somebody. Everything has been unique. There’s no straight forward, and of course when you go to sell it you turn whatever the cash you have. It’s a little more active involvement than rental but has lot more profit. Whenever you’re buying a property wholesale from somebody, invariably almost always you’re solving a problem for somebody. They may have a situation where they’re going to lose the house or they need the money, or something. I always look at it as solving somebody’s problem, and that’s an exciting part. Every time it’s a unique problem. Over time, how have you built your education as a real estate investor? I ended up getting my realtor license, which was a big part of the education. Other than that I’ve gone to a lot of seminars and real estate classes in the local real estate group, and just networking and talking to people. I’ve been fortunate enough to have some good key people around me who have been there helping me understand the things I may not be aware of. Networking is important, especially because you can learn from other people’s mistakes and you can share creative solutions to things. How do you use the website and how did you find this property on MyHouseDeals? I have the media alert set up so on a daily/weekly basis I get the new properties that are posted, and I do a few quick calculations and then if the numbers are in the right ballpark for my criteria I call the person, set up an appointment to see the house, and if I like the house I make an offer on the spot while at the house. How do you deal with seeing potential high property ARVs? ARVs tend to be a very subjective number. If I see a number that is a little higher than my calculation, I would still call the person and talk to them. If it’s a lot higher then I just skip it. Sometimes, deals may have a higher ARV than the wholesaler posts. If my numbers make sense to me I will move forward. The ARV can also depend on the area. In an area where properties are in high demand and low supply you can give some leeway to the ARV. If it’s in an area where the market is very high then you can’t really give leeway to the ARV. In those areas I will usually skip a deal if the ARV is too high. 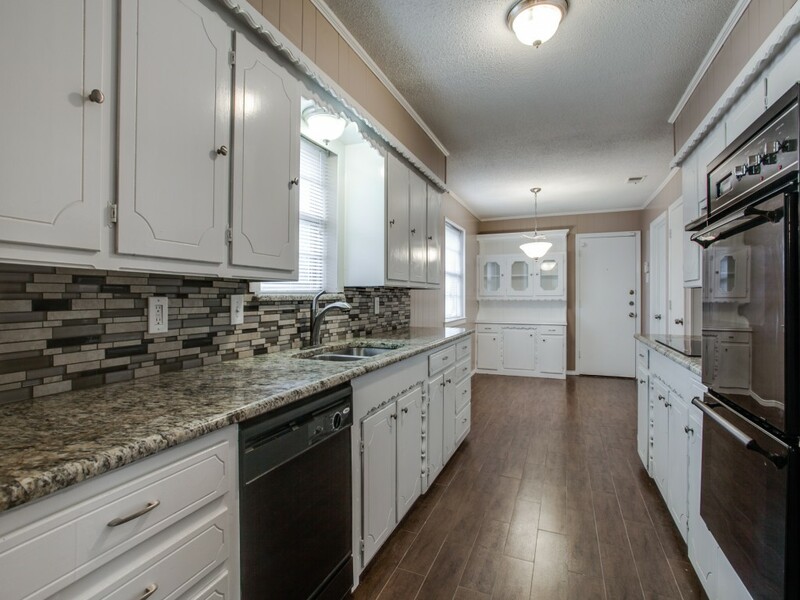 What attracted you to this Dallas investment property? The bigger the project the better! I enjoy the rehab process and that tends to eliminate some of the competitors from a bigger project. Not everybody has enough financial backing or the capability and the knowledge to do all around rehab. That’s one other thing I look for. 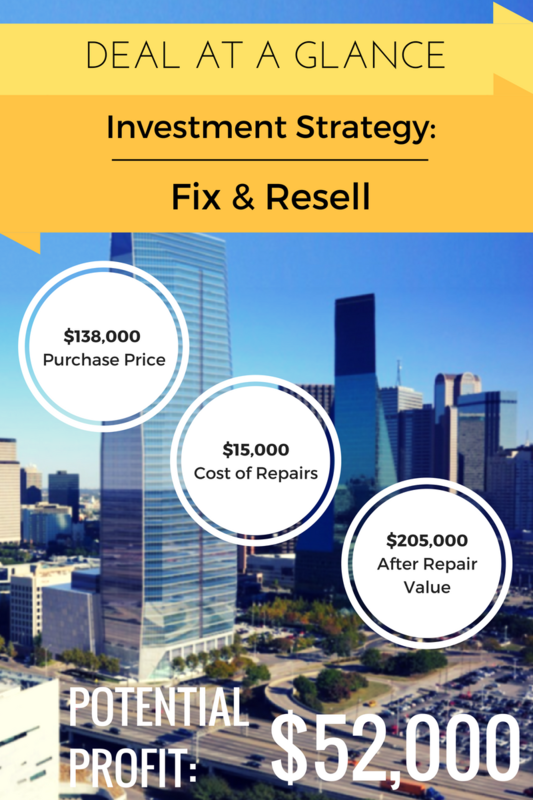 How did you finance this Dallas investment property? For the property I found on MyHouseDeals I actually did a hard money loan. That was one of my first hard money loans and it was a learning experience. I probably will be a lot more cautious and careful with the hard money lenders going forward. They quoted a rate and points, but there were a lot of other costs on top of that affecting the deal and the numbers. It did allow me to do this deal, so that’s a positive. The strategy I’m leaning towards is private money. Building that database, building a list of people and networking. How are you creating a database of private lenders? It’s all networking, so all the local real estate classes and networking that I have done those is the major source. You meet one-on-one and talk to them. You talk about ideas and what their interests are and then eventually you find people who interests are alike. 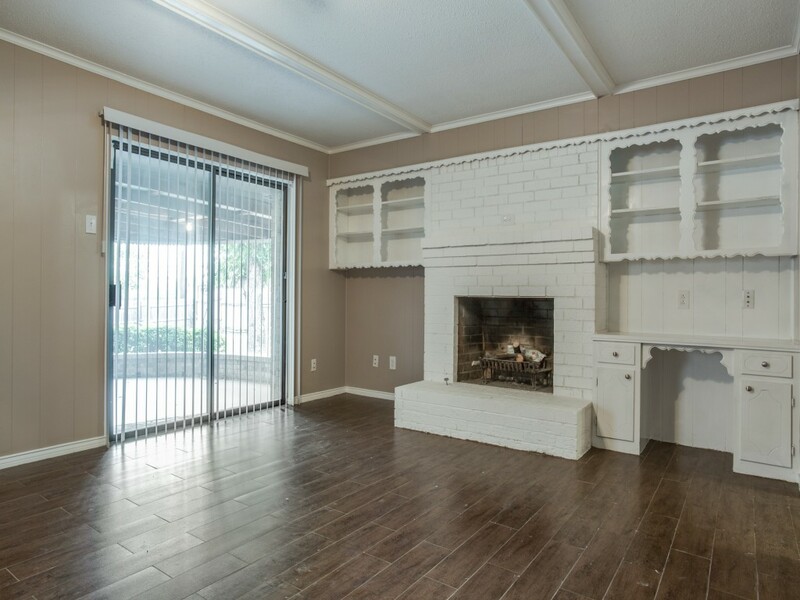 How did you find reliable contractors to flip this Dallas investment property? That’s a part of the flipping business, being able to find good and reliable contractors. I develop the relationship over a period of time and the key is that when you find a good one hold on to them and do everything possible to make sure they understand as an investor you’re going to bring more business. Keep that relationship and keep nurturing it. By the time I came to this house I had people who were able to move quickly and go in and do things that we needed. How has your life changed since being a full-time investor? I think that my life has improved drastically. Before I was in a corporate job. There are benefits of the corporate jobs, but you’re always working for others. I’m an entrepreneur by heart. I can only run as fast as people around me are running in a big corporation. In this, I can run as fast as I like and I can control everything. The control aspect and the freedom aspect is huge. Whenever I need something I have full control over that. My life has changed drastically and I’m looking forward to the next couple years where I’m expecting it to change even more for the better. Take the time to learn. A lot of people want to do something very quickly. Just remember that one mistake in the flipping business can wipe out your profit from 20, 30, 40 properties. That’s a huge thing, and I would rather do one deal less or two deals less and do the right deals. That’s my biggest advice. Be very careful and take the time to learn and build a network.